There is no doubt that Apple Siri has been taking almost all the attention at the ongoing WWDC 2016. However, it should be noted that this digital assistant is very dependent on the status of the umbrella software – iOS 10. 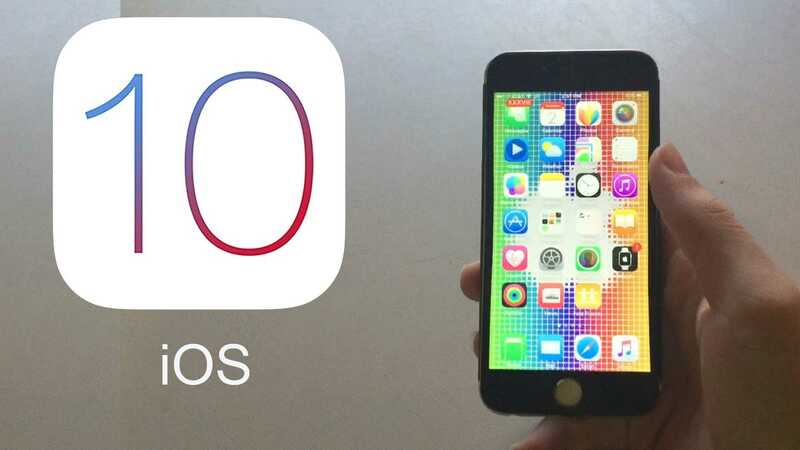 The new iOS 10 beta is already available for developers and with it, there comes quite a number of great additions for iPhone, iPad, and iPod Touch users. In fact, this new OS has been labeled by the company as the biggest upgrade ever it has rolled out. So, what makes iOS 10 the “biggest” update ever as Craig Federighi would love us to believe? The new iOS 10 brings a feature known as Raise to wake. Just like its name says, the feature will wake up the lock screen whenever the phone is lifted, thus giving you an overview of updates and notifications in a hassle-free manner. It gets even easier to interact with these notifications thanks to 3D Touch, which has now seen an expansion on the home screen that includes widgets for apps you don’t need to launch. The new iOS 10 will allow third-party developers to make use of Apple Siri in carrying on with their day to day tasks. For instance, it will be possible to ask her to send a message to a WhatsApp contact or make a call to Skype contact. Other apps already on board include Slack, Uber, and WeChat, among others. Apple has also enhanced the capabilities of Siri in iOS 10, making it more contextually aware. It will take questions with respect to your current location, contact information, recent addresses, calendar availability and more. Another app that has also seen updates via the new iOS 10 is the Photos app. Apple has added a new object and scene detection feature that allows for searching and sorting of photos on your iPhone. This means that you will have a group of photos based on their settings. Apple Maps has also been redesigned into a more proactive application. There is more predictive functionality being added to the app, meaning it will be able to give suggestions for nearby restaurants, traffic information as well as support third party apps. This means things like booking, paying and tracking an Uber ride can all be done without the need of leaving the Maps app. iMessage is the most used Apple iOS app. To make it even better, iOS 10 will be adding support for rich links. This means that users will now be able to play videos right from within the app. Apple is also working on ‘emojifying’ words such that all you need to do is tap and a word will automatically be converted into an emoji. The iMessage app has also been integrated with Apple Music such that music can also be played from within the messaging app. The app is also being opened up to developers, just like with the case of Siri and Maps. Other areas that iOS 10 has also updated include the Phone app, Apple Home, Apple News and Apple Music, among others. For all the compatible list of devices, you can check out the official iOS 10 release on the company’s website. Eager to wait for iOS specific for iPad. iPad apps are limited by iPhone compatibility. Rather the iPad line could add hardware features specific to its deliberate use and form factor.